Add on to any bar to please your green friendly guests. 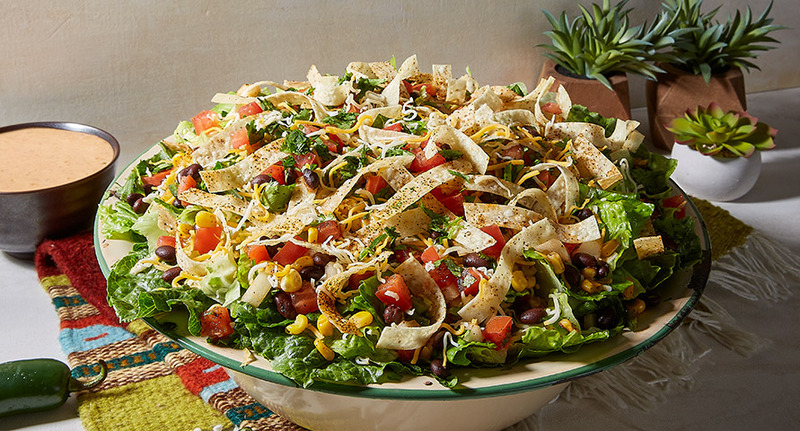 Served with chopped lettuce, black beans, roasted corn pico, diced cucumbers, shredded cheese, and topped with crispy southwest seasoned chips. Comes with your choice of Southwest Vinaigrette, Chipotle Ranch or Avocado Lime Crema dressing.